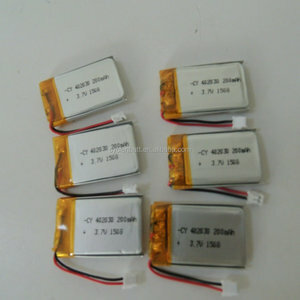 Data Power rechargeable li-polymer mp4 battery 3.7v 240mah Specifications Offered:OEM/ODM Service, After-sales service. 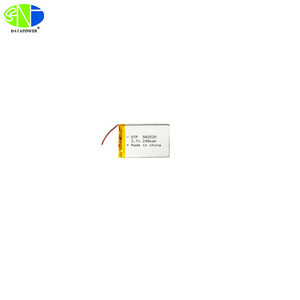 Warranty:1 year Certificates:ROHS,CE,UL,ISO,UN38.3,SGS Packaging & Delivery Packaging Detail:Blister Card pack or as your requirement Delivery Detail:5-7days Battery Type: Li polymer battery pack THE ORDINARY CHARACTERISTICS NO. 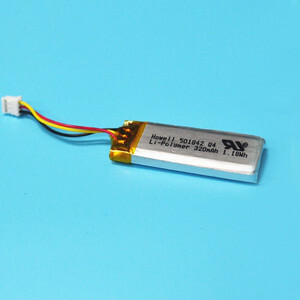 ITEM CHARACTERISTICS 1 NORMAL VOLTAGE 3.7v 2 NORMAL CAPACITY 240mAh 3 MAX. 3 YRS Shenzhen Juheyuan Science & Technology Co., Ltd.
Q2: How do we place an order9 A2: Please kindly send us an email specifying the item, quantity, color or other specification to place an order. Q3: How do we make the payment9 A3: We accept Paypal, Western Union, TT,LC,TT will be prefered . For details, please kindly contact the sales persons. 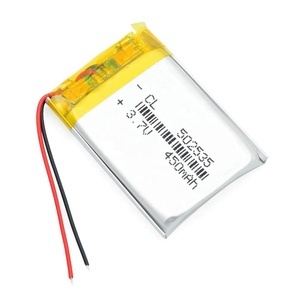 452530 3.7v 300mah li-polymer battery for Smart watch 1, li-polymer battery for bluetooth headset Products Pictures: Parts of li-polymer battery lists 1, li-polymer battery Specification: NO. Product holder should be responsible for any possibly accidental loss if above conditions cannot be met 3, li-polymer battery for bluetooth headset Quality testing equipments:100% testing before ship to our customers. The other contact our service workers and send us the e-mail and place the orders. Other shipping terms can also be arranged according to specific requirements. 4.The buyer is responsible for all the shipping cost incurred. We will be so thankful if you inform us of your requirements on our products. Welcome to visit our company at any time when you come to China. 2.OEM&ODM are available9 :) Sure, OEM&ODM are 3. How to confirm the quality with us before start to produce9 :) (1) You can get a free sample and choose from it, and then we make the quality accordingly. (2) Send us your samples, and we make the battery according to your quality. 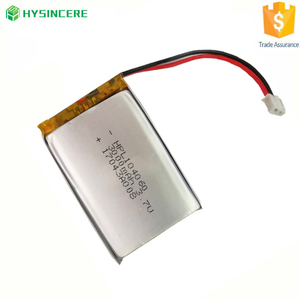 Data power technology limited is specialized in lithium polymer battery for 15 years, all the batteries we made are with long cycle life,green and safe. 2. Rapid charge-discharge cycle life up to more than 500 times. 5. Enough, stable capacity, steady discharge and high temperature discharge. 5. Fast Charge Capacity: Can be fully charged in 2 to 3 hours with a rated voltage of 4.2 per cell 6 . Injection Technology to make battery more stable; 9 . Factory mastered technology and competitive price; 11 . 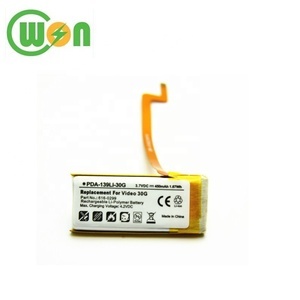 9 YRS Foshan Zhaoneng Battery Industrial Co., Ltd.
Alibaba.com offers 14,671 mp4 li-polymer battery products. About 13% of these are rechargeable batteries, 1% are digital battery, and 1% are solar energy systems. 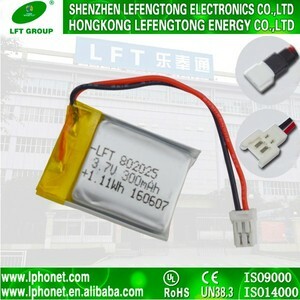 A wide variety of mp4 li-polymer battery options are available to you, such as li-polymer, li-ion. You can also choose from free samples, paid samples. 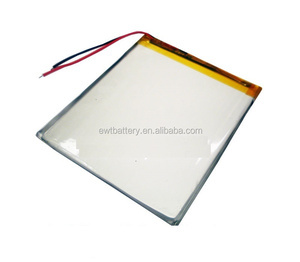 There are 14,671 mp4 li-polymer battery suppliers, mainly located in Asia. 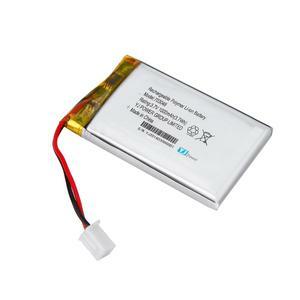 The top supplying country is China (Mainland), which supply 100% of mp4 li-polymer battery respectively. 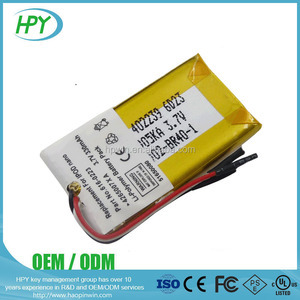 Mp4 li-polymer battery products are most popular in North America, Western Europe, and South America. You can ensure product safety by selecting from certified suppliers, including 3,299 with ISO9001, 1,935 with Other, and 448 with BSCI certification.